Solar Panels, or more specifically Photovoltaics, are without question workable and are capturing a portion of the electric generation market. However, as the following will show there are issues to be address. These issues include capacity, incentives, the ability to sell electricity back to local utilities and other issues. For instance, the Solar Energy Industry Association (SEIA) reports that recent fourth quarter numbers show more interest. For the first time, more than one-third of the residential PV installations came online without any state incentives. However, the 30 percent federal incentive, offered to all people for purchase and installation of the systems, was available to everyone during that quarter. The company notes that residential systems tend to be much smaller than commercial systems, making up only 22 percent of the grid system in megawatts. SEPA conducted a survey of about 600 households who made the decision to pursue the PVsolar system. • more than have of the respondents did not have children or no longer had children in the home. • 52 percent of those surveyed had one or two member households. • most had a household income more than $100,000, but one-third had an income between $60,000 and $100,000. According to the survey, most of those switching to a solar system did so for environmental concerns. However, the respondents indicated other reasons. These included a desire to decrease the dependence on foreign oil, a wish to produce their own electricity, and reduce their current electricity rates. The Federal Energy Information Agency reports that only one percent of the electricity produced in the U.S. uses petroleum as a fuel. The leading fuel source is coal at 39 percent followed by natural gas at 27 percent. Neither coal nor natural gas is imported as a necessity. Nuclear comes in at 19 percent. Solar, as of the 2013 report, accounted for 0.23 percent, while wind accounted for 4.13 percent. The power-producing solar systems being installed are using PV panels. PV is short for photovoltaics, which is the method of generating electoral power by converting sunlight into direct current electricity through use of semi-conducting materials. Such a system employs solar panels composed of a number of solar cells. Looking At the Economic Impact Solar panels can replace traditional source of electricity. However, they are not as efficient as many might think because they do not utilize the whole light spectrum from the Sun. According to the online Wikipedia encyclopedia, PV solar cell capacity is measured as maximum power output under standardized test conditions of “Wp or watts peak. The actual power output may be less or higher than the standardized rated valued. This will depend on the geographic location, time of day, weather conditions and other factors. PV Solar array capacity factors are typically rated under 25 percent, which is lower than many other industrial sources of electricity. 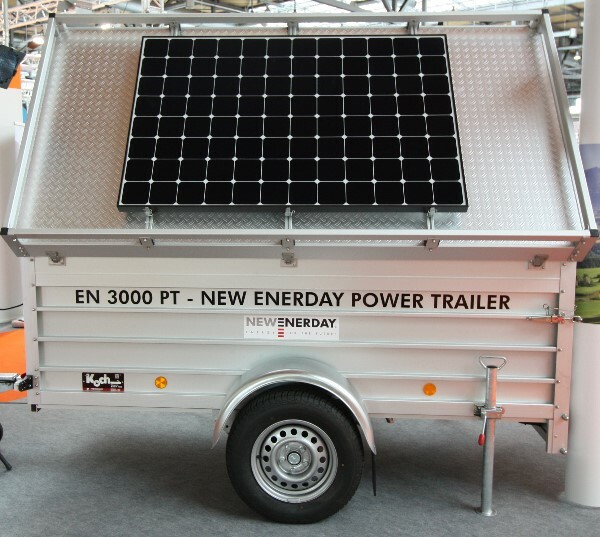 There is no denying that the use and application of PVsolar panels, and the electricity generated are on a growth path. However, the question is can it continue that growth? Will it attract enough of the demand to impact significantly the use of other fuel sources? The point of determining the market share for SolarPV is to keep in perspective the need to maintain traditional power plants and the system normally called the grid. The grid is composed of the various networks of power lines used to move electricity to consumers. It also allows companies to shift excess generation to other utilities. Power plants use natural gas or coal as a power source. Some will refine oil into fuel oil that will be used as a fuel in individual furnaces. Except for few old and very small power plants that use diesel fuel, oil is not used to generate electricity. Furthermore, while considering the return on the investment of a solar power system, it is noteworthy that the addition of such a system for a home will increase its value. However, he increased value of a home will do two other things. The annual property tax bill may go up. Some state may have incentives to prevent this, but eventually incentives are removed. The other area is homeowner’s insurance. As the value of the home increases, so does the investment value and accordingly, additional insurance will have to be purchased, which will increase the premium. These items may be insignificant when viewing the larger picture. However, they must be given some consideration when attempting to determine the actual cost of the system. Finally, to consider the return on the investment, it is necessary to know the cost of the investment. Berkeley Lab or the Lawrence Berkeley National Laboratory has been reviewing the change in prices. Some 13 Nobel prizes are associated with the Berkeley Lab and 70 of the lab’s scientists are members of the National Academy of Science. Simply stated, the Berkeley lab has impressive credentials. In an Aug 12, 2013 news release, the Lab reported the installed price of a solar photovoltaic (PV) power system fell substantially in 2012. That declined continued through the first half of 2013. It is expected that the decline is continuing. This scenario creates something of a paradox. Solar-powered homes will not by paying for electricity, other than the initial installation. Thus they will not be paying monthly electric bills. However, if enough people switch to a PVsolar system, the question is raised as to whether the local utility can afford to stay in business. Finally, the top 10 states leading the way regarding the installation of PV solar systems are with one exception all located along the coastline of the United States. The one exception is Colorado, which has cold winters, but long periods of bright sunlight. Excess heat or cold can impact the solar systems. PV or Photovoltaics systems can generate heat. However, if your home is equipped with a natural-gas furnace or uses fuel oil, then those products will have to be supplied, while the Photovoltaics system runs the pumps, fans and other components associated with a normal heating system. The system will supply the electricity to run air conditioning units This will be impacted by the air conditioning demand, and the power produced by the PV solar system. A new idea that may be all right for one or two homes in neighborhoods may not work everywhere. For example, will the cost of an alternate power source lead to the elimination of trees in some areas? Eliminating trees for progress is not a new concept in this country, but it is something to consider. There are other issues that have to be faced. Some home owner associations are including rules that would prevent the installation of such systems. Some people, who seek better environmental quality, do not want it to involve them. An attempt to build a wind farm in the New England area several years ago failed, because the residents said it would interfere with the local scenery. Offshore oil wells on the east coast are opposed for the same reason. Therefore, while the solar energy industry is in the midst of a growth cycle, the test will be to see if this cycle continues or slows down. Conclusion It is apparent that PVsolar systems work and can reduce electric bills. Federal and state incentives make the idea attractive to people with higher incomes. However, will the lower-income families bear a greater burden for electrical service because of the revenue that the traditional utility companies will lose? The national energy picture has been changing for years. Lead was removed from gasoline. Sulphur emissions were reduced in diesel fuel and new methods of generating electricity are being constantly pursued. New energy-saving light bulbs are on the market and other energy saving measures are on the drawing board. The issue today is whether the PVsolar panels will have a major impact throughout the country or only be practical in certain areas. 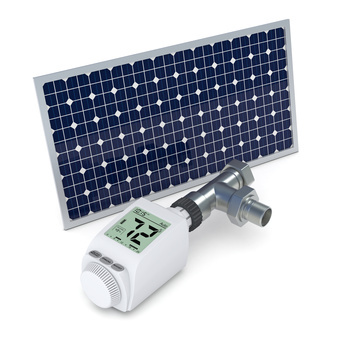 How to calculate system performance of solar energy power station (solar power system).